First of all, this is real. Donald Rumsfeld is releasing some Bush-era papers that are referenced in his upcoming book Known and Unknown. 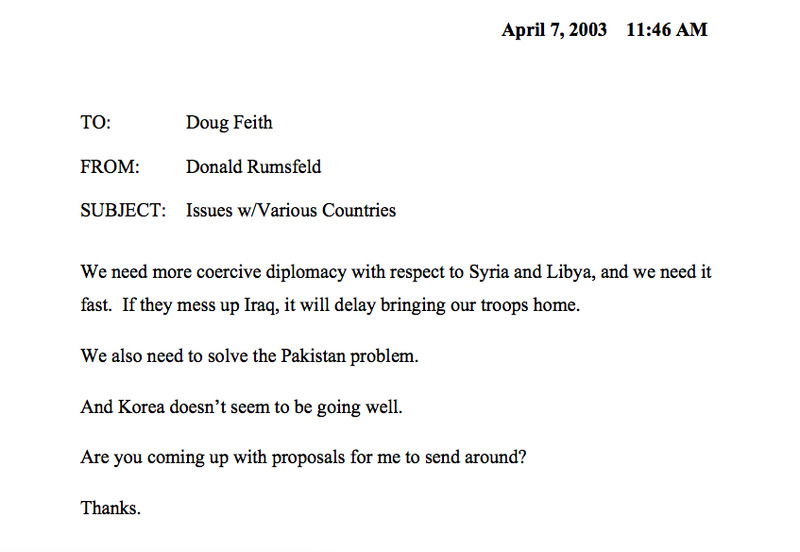 The sharp-eyed folks at The Atlantic Wire dug this memo up from April 7, 2003 to Douglas Feith, then Under Secretary of defence for Policy. 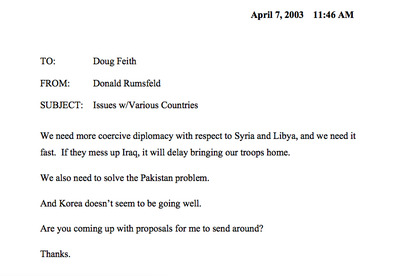 In it Rumsfeld lists some ‘Issues with Various Countries.’ Behold. Where are the proposals? Where indeed. Rumsfeld should get a Twitter.